PLEASE READ: There is an issue currently with certain USB keyboards for PC Desktops. The game works fine on PC laptops, Macs, and Macbooks. 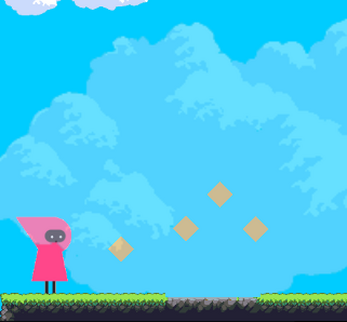 Glider is a work-in-progress platformer. The goal of the game is to collect 15 diamonds to open the portal to the next level. In the process, an angry dragon tries to stop you. The game will teach you the rest. Dragon art from Opengameart.com's Flappy Dragon by Bevouliin.